Dell has announced its new lineup of Inspiron 27 7000 AIO, the Inspiron 24 5000 AIO and the new Inspiron Gaming Desktop PCs. The new desktops are powered by AMD processors and AMD Radeon graphics cards. 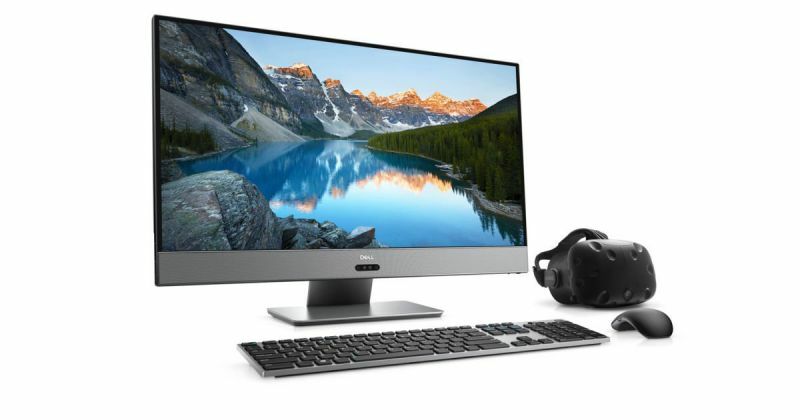 The new Inspiron 27 7000 AIO PC is designed for VR and entertainment system for the home. It includes borderless InfinityEdge, 27” IPS display, with resolutions up to 4K UHD. The AIO PC also includes Windows Hello with one look login and Cortana with far-field speech recognition as well as USB Type-C 3.1 and Dual Drive options with SSD storage. It offers the latest multi-core Ryzen AMD processors and AMD Radeon RX500 Series graphics, giving it the performance to power virtual reality, multimedia content and everything in between. The new Dell Inspiron 24 5000 AIO features a SmartByte technology which allows video streaming without buffering. The software detects critical network streams and prioritizes video ahead of less urgent network traffic, so videos and movies run without interruption. This new AIO delivers powerful performance and high graphics fidelity. It features a beautiful white, sleek design and optional articulating stand making it the ideal PC for the home or dorm. It is also equipped with Windows Hello for logging in quickly and securely, Cortana with far-field speech recognition, USB Type-C 3.1 and Dual Drive options with SSD storage. Dell Inspiron 27 7000 and Inspiron 24 5000 All in One PCs will be available worldwide in the coming weeks starting at $999.99 and $699.99 respectively.